Our vision is that the people in our region will be the healthiest in the nation. Bellin Health invites you to consider an exceptional opportunity that will allow you to have it all...a busy, yet rewarding practice and tranquil waterfront living in the Green Bay Metro/Marinette. Enjoy spectacular scenery and beautiful lakefront developments in a true four-season climate. Bellin Health is growing again! We are expanding our services ~ we want to assure our patients have access to care when they need it. Bellin Health is actively seeking additional physicians to join our expanding Urgent Care Clinic provider team. Applicants will need to be either BC/BE Family Practice Physicians with 2-5 years’ Urgent Care Clinic experience. Over the last few years, we’ve provided Marinette and Oconto with more and better healthcare services. 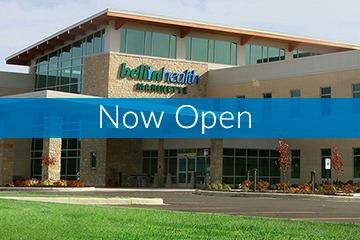 We’ve now consolidated our Marinette services into a brand new, multi-specialty clinic as part of Bellin Health Oconto Hospital service offerings. Bellin physicians who specialize in everything from primary care to heart, cancer and orthopedics are already here, and they’re bringing some of the best medical outcomes to the region at prices among the lowest. In addition to providing comprehensive medical care for families, Bellin Health Marinette has taken convenience, responsiveness and access to the next level by offering P.A.S.S. (Priority Access Scheduling Service) with 24/7 scheduling and same-day appointments.